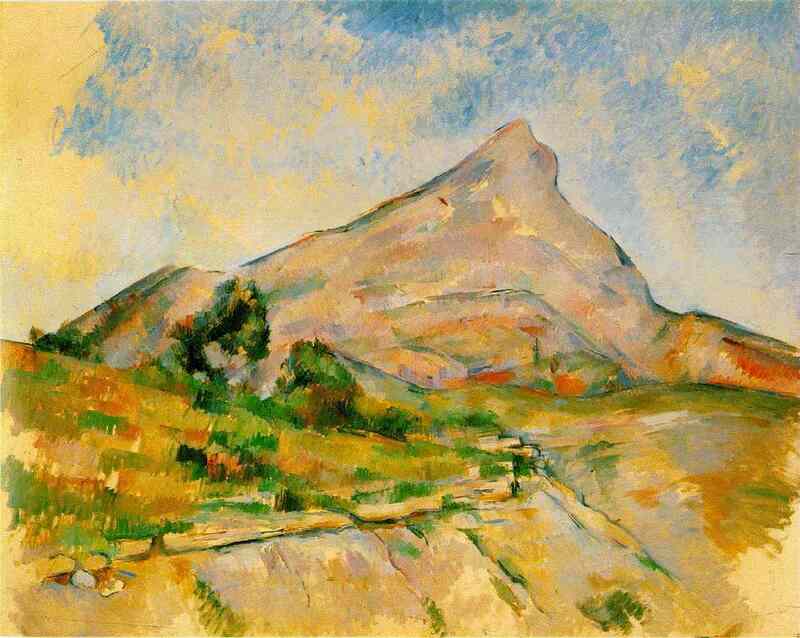 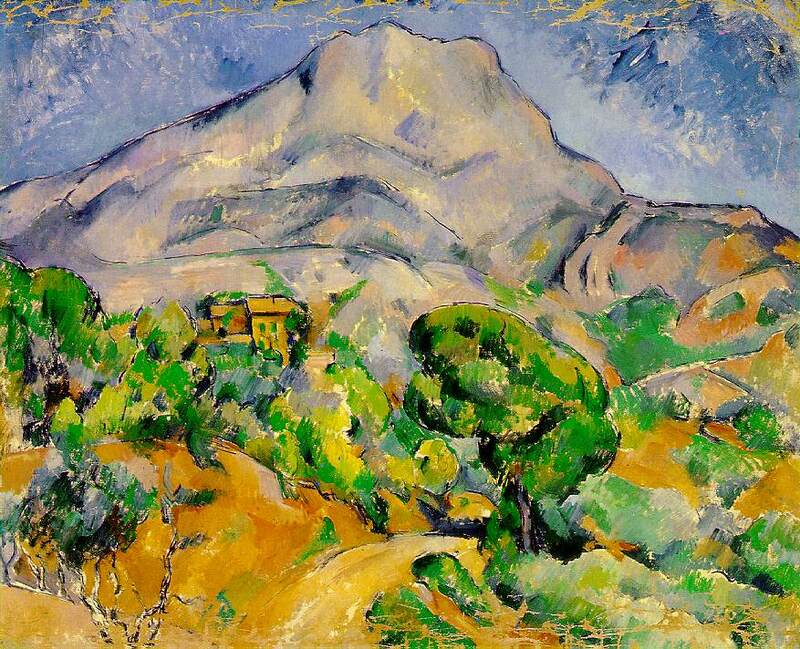 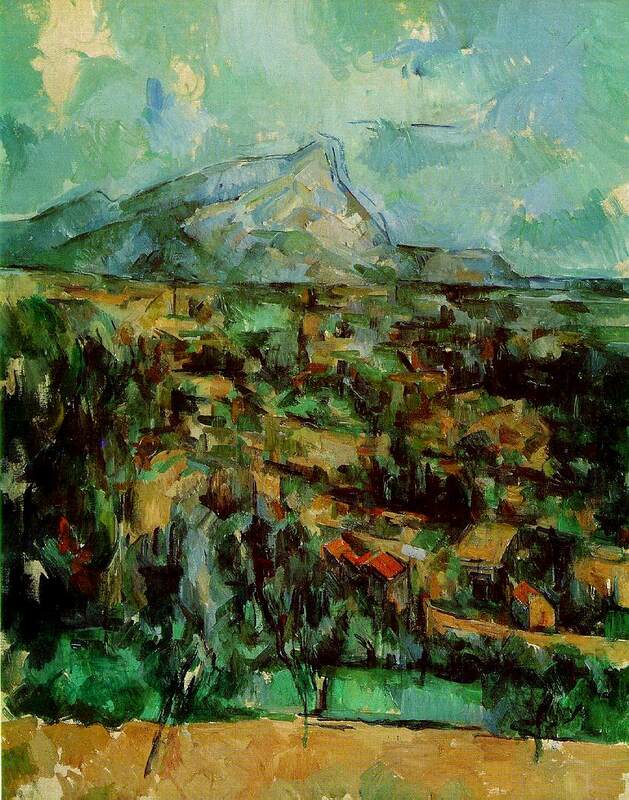 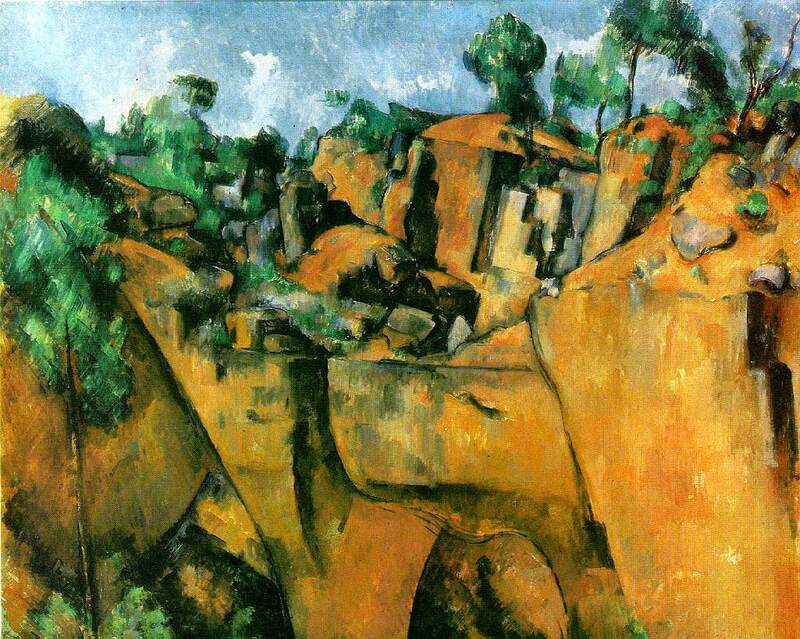 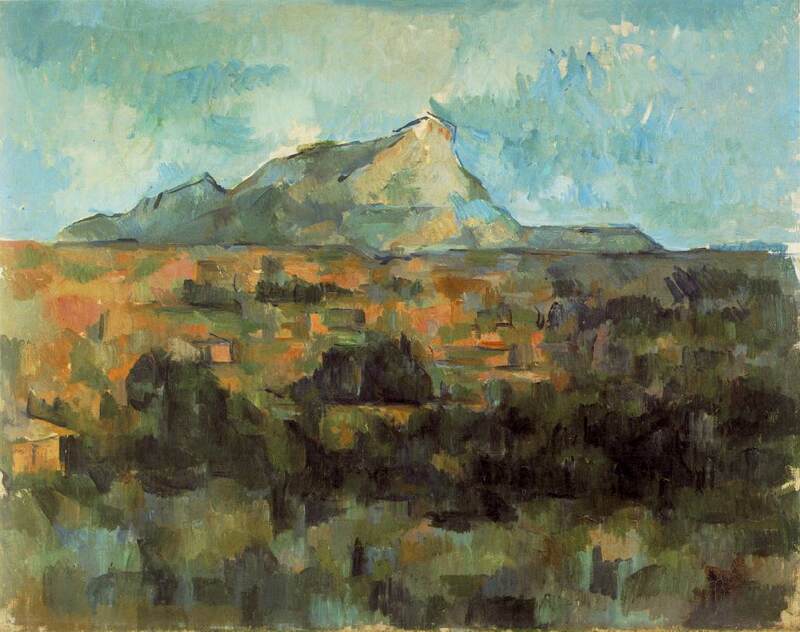 The Sainte-Victoire mountain near Cézanne's home in Aix-en-Provence was one of his favorite subjects and he is known to have painted it over 60 times. 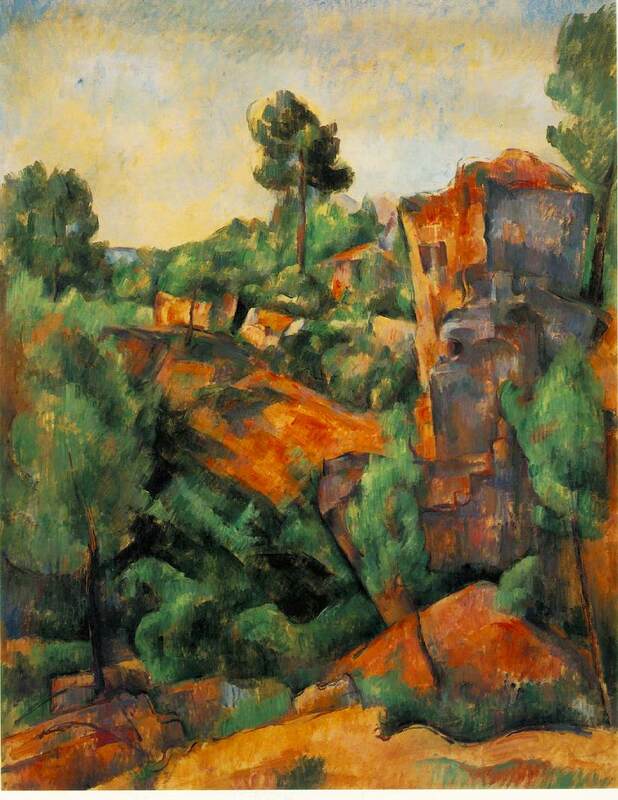 Cézanne was fascinated by the rugged architectural forms in the mountains of Provence and painted the same scene from many different angles. 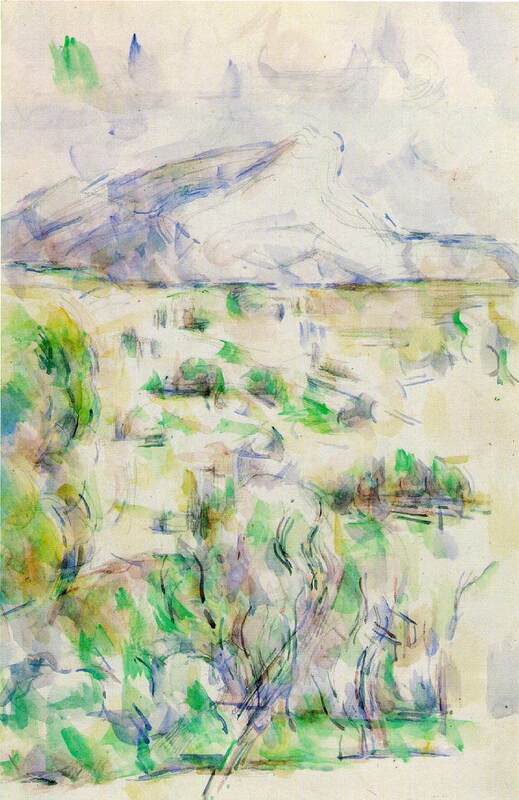 He would use bold blocks of color to achieve a new spatial effect known as ``flat-depth'' to accommodate the unusual geological forms of the mountains. 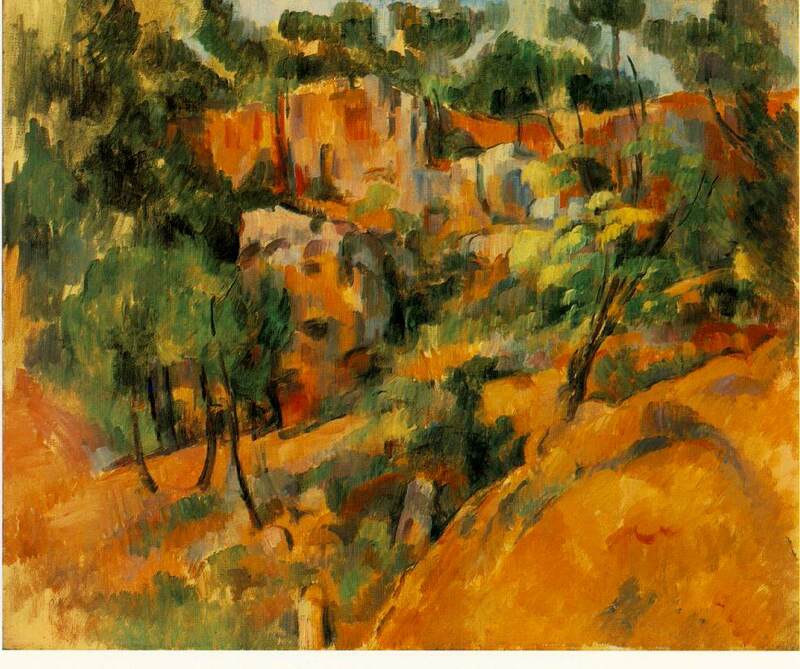 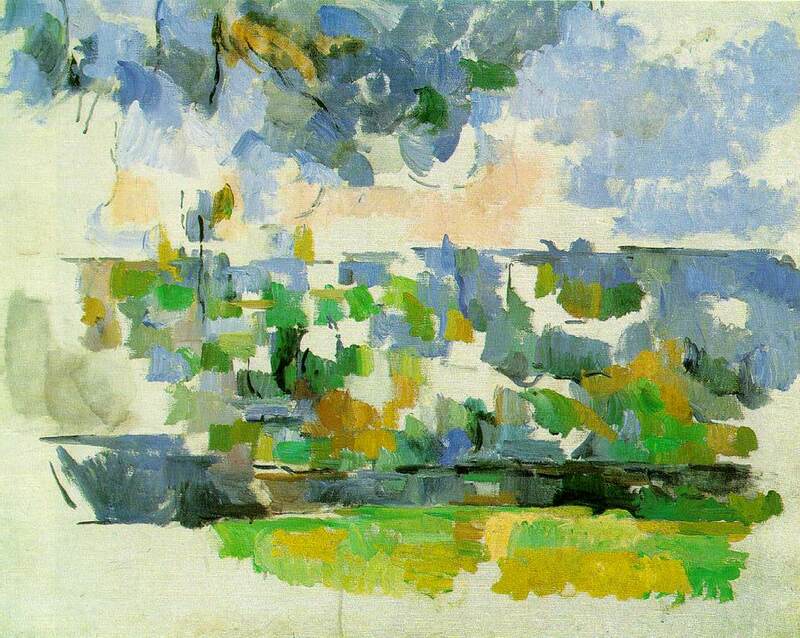 Cézanne travelled widely in the Provence region and also enjoyed painting the coast at L'Estaque.